The MSU Mini is our complete all-in-one surveillance system. Proving great things come in compact packages, this solution combines online accessible webcams with portable convenience. Designed to help small to mid-sized businesses, educational institutions, and government facilities secure their properties, the MSU Mini works in tandem with real-time remote monitoring service via a UL listed Central Station. The integrated cameras are perfect as construction cameras to protect a jobsite, and are just as effective as entryway surveillance for facilities of any size. Best of all, it does all this while providing substantial cost savings. The MSU Mini is available for purchase or rent, call today to find out more. Although hidden or disguised cameras may sound good in theory, the truth is they are not the most effective option. After all, when protecting valuable property, the most important concern is preventing theft or vandalism. When a criminal walks off with thousands of dollars’ worth of merchandise or equipment, the ability to watch them do it is cold comfort. The truth is, the best security solution is one that is sitting in plain sight. The most effective theft deterrents are obvious and visible. The average criminal is not a Hollywood-style mastermind, concocting an elaborate scheme to defeat security measures. Typically, they are just looking for an easy score. Thieves want to walk into an unprotected location, pick up as much as they can as quickly as possible, and walk out. Burglary tactics like cutting wires, although not unheard of, are not nearly as common as popular media would have us believe. Broadcasts to would-be criminals that the property is protected. Presents property as a difficult target, inspiring most thieves to move on. 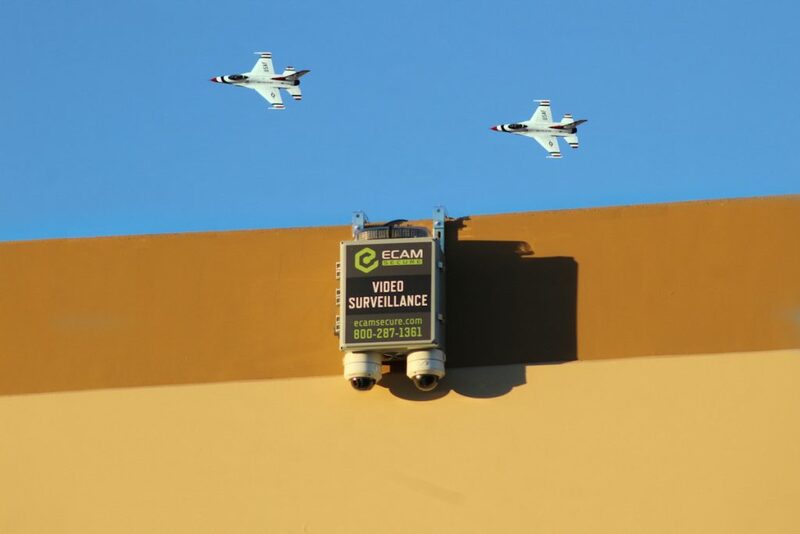 Functional, monitored cameras allow for fast response to intrusions. Most police departments prioritize response to video-verified alarms. MSU Mini is compact and portable, convenient to install, and economical. Integrated webcams are online accessible. Keep tabs on your property from anywhere. Security is a paramount concern for any business or retail store. Even the smallest operation might have thousands of dollars or more of inventory, computers, or equipment on site. More so, data such as customer files can be priceless. The damaged reputation and lost customer confidence if files are stolen can quite literally mean the end of a business. At the same time, though, cost savings is always a priority. Especially in the budget-conscious worlds of small business, education, and government, every penny matters. The financial resources to design, purchase, install, and maintain a large security system may simply not exist. Built from the ground up to save material and labor costs. All-in-one design means less wiring and no intrusive installation. Striking design serves as a powerful visual theft deterrent. Compact size and flexible mounting options allows for use in any construction. 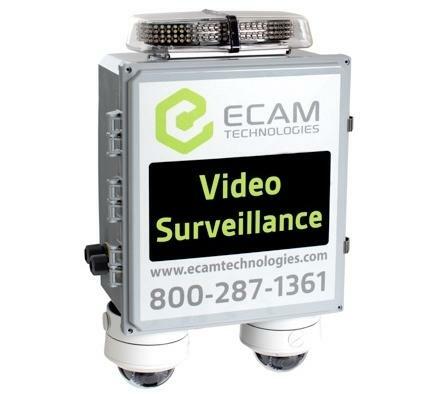 Easily customizable to serve as construction cameras, retail protection, and more. Portable and sturdy to move between locations as needed. Mobile, online accessible cameras allow you to keep tabs on your property from anywhere. Enjoy the benefit of UL-Listed remote monitoring with a substantial cost savings. 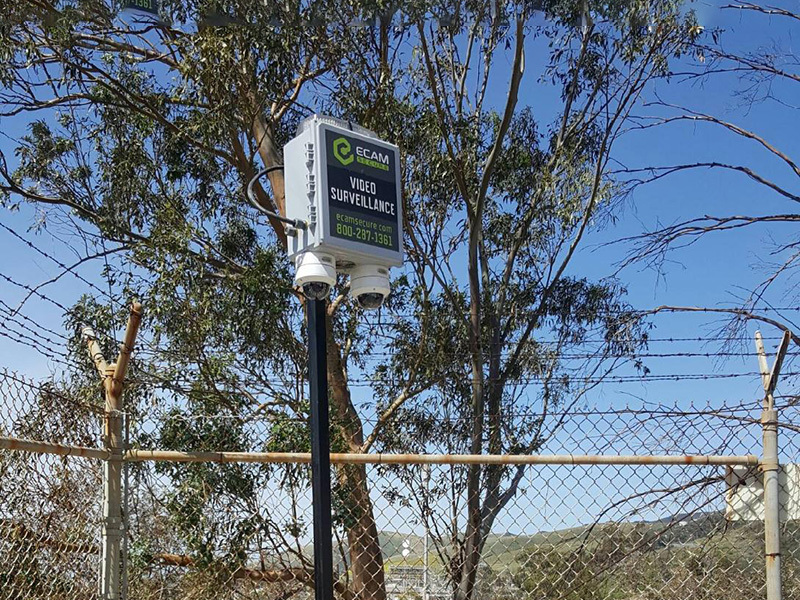 Flexible and customizable, and easily installed in even the tightest spaces, the MSU Mini provides a visual theft deterrent and full surveillance coverage while still remaining an economical choice to fit any budget. Best of all, as an all-in-one solution, it is completely portable and can be moved from site to site to fit your current needs. The MSU Mini is compact, and can be installed almost anywhere, even in corners or small alcoves. Add the optional solar array and it turns into a self-contained, all-in-one security solution. Finally, thanks to a design built from the ground up for cost savings, it does all this with economical panache. The MSU Mini can fit into a tight budget as easily as it fits into a tight corner.